Add constraints to a conservation planning problem to ensure that all selected planning units are spatially connected with each other and form a single contiguous unit. 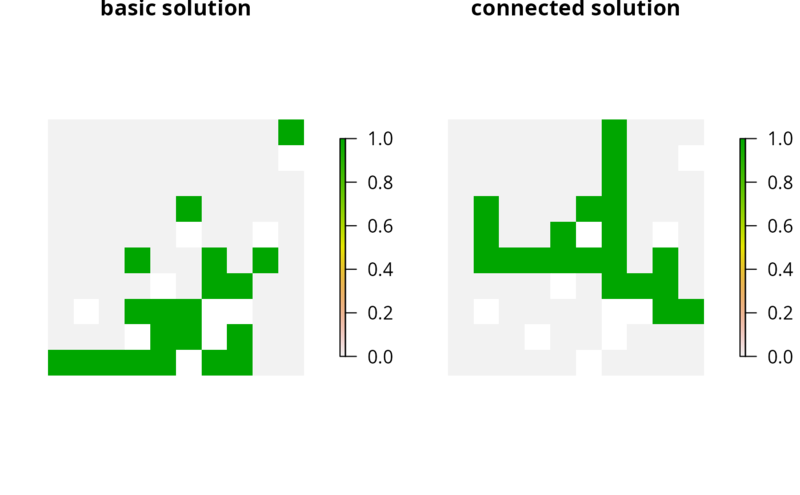 matrix or Matrix object describing the connection scheme for different zones. Each row and column corresponds to a different zone in the argument to x, and cell values must contain binary numeric values (i.e. one or zero) that indicate if connected planning units (as specified in the argument to data) should be still considered connected if they are allocated to different zones. The cell values along the diagonal of the matrix indicate if planning units should be subject to contiguity constraints when they are allocated to a given zone. Note arguments to zones must be symmetric, and that a row or column has a value of one then the diagonal element for that row or column must also have a value of one. The default argument to zones is an identity matrix (i.e. a matrix with ones along the matrix diagonal and zeros elsewhere), so that planning units are only considered connected if they are both allocated to the same zone. NULL, matrix, Matrix, data.frame object showing which planning units are connected with each other. The argument defaults to NULL which means that the connection data is calculated automatically using the connected_matrix function. See the Details section for more information. 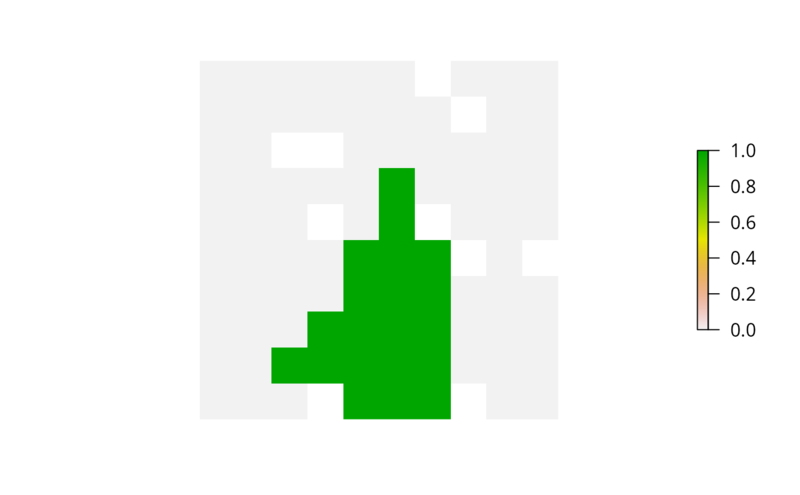 ConservationProblem-class object with the constraints added to it. This function uses connection data to identify solutions that form a single contiguous unit. In earlier versions of the prioritizr package, it was known as the add_connected_constraints function. It was inspired by the mathematical formulations detailed in \"Onal and Briers (2006). connection data should be calculated automatically using the connected_matrix function. This is the default argument. Note that the connection data must be manually defined using one of the other formats below when the planning unit data in the argument to x is not spatially referenced (e.g. in data.frame or numeric format). where rows and columns represent different planning units and the value of each cell indicates if the two planning units are connected or not. Cell values should be binary numeric values (i.e. one or zero). Cells that occur along the matrix diagonal have no effect on the solution at all because each planning unit cannot be a connected with itself. 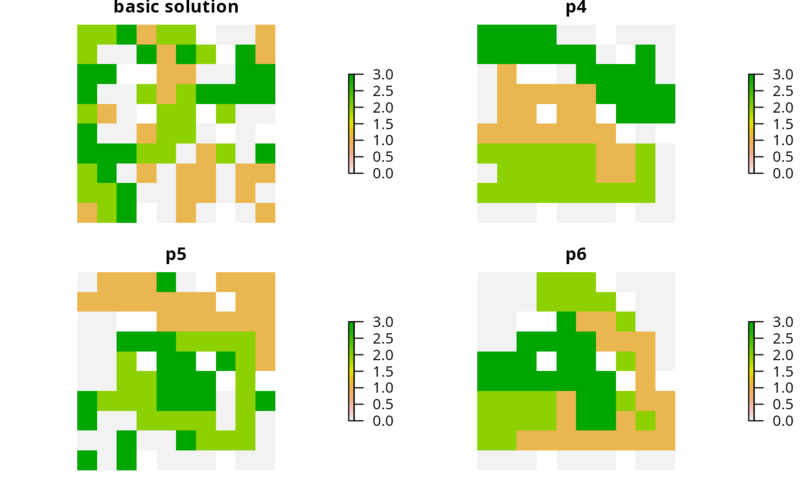 containing the fields (columns) "id1", "id2", and "boundary". Here, each row denotes the connectivity between two planning units following the Marxan format. The field boundary should contain binary numeric values that indicate if the two planning units specified in the fields "id1" and "id2" are connected or not. This data can be used to describe symmetric or asymmetric relationships between planning units. By default, input data is assumed to be symmetric unless asymmetric data is also included (e.g. if data is present for planning units 2 and 3, then the same amount of connectivity is expected for planning units 3 and 2, unless connectivity data is also provided for planning units 3 and 2). \"Onal H and Briers RA (2006) Optimal selection of a connected reserve network. Operations Research, 54: 379--388. # link up the planning units allocated to the "reserve zone"